Baby nurseries can provide a loving, calm and comfortable space for parents and babies. It’s widely known that your surroundings can deeply affect your mood, and there is no better way to boost your mood than to surround you and your baby with the timeless comfort of wicker in his/her room. There is very little more peaceful and relaxing than watching a baby sleep soundlessly. A classic and tried and true way to have your baby sleep is in a bassinet. You can choose from small up to extra extra large, and pick your finish. We recommend the extra extra large if you wish to have your baby grow into the the comforting surroundings of a classically styled bassinet. You can always coordinate the bassinet with many pieces in the room, and of course, you can move the bassinet around with ease. With a newborn, we are guaranteed a few trips to the baby’s room during the night. Whether it is feeding, soothing or just admiring we could always use a comfortable place to hold the baby. A rocking chair can provide the comfort you need, and the soothing slow movement your baby needs. We have a variety of styles and finishes to help you match your room. 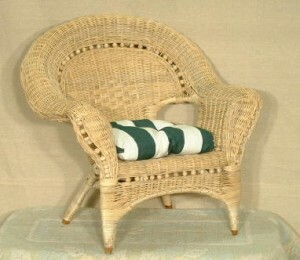 There are endless possibilities when it comes to wicker storage. The weave provides breath ability which can protect keepsakes from must and mildew while keeping your baby’s things organized neatly. You can also use baskets to organize baby items such as diapers, change cloths, clothing, toys and much, much more. The baskets come in a variety of sizes and shapes which can provide your new family endless fun with storage and organization ideas. As children grow up you may want to introduce them to the timeless beauty of wicker. Do them a favor and start them young with doll furniture made out of wicker. They can learn the beauty and durability of furniture just like mom and dad have, while still maintaining important play time and whimsy of playing house or dolls.